Five hundred years ago, on Oct. 31, 1517, Martin Luther posted 95 theses onto a church door in Wittenberg, Germany. By doing so, he ignited a Reformation that would impact society and religion for centuries to come. But Luther wasn’t alone in attempting to reform the church o his day. 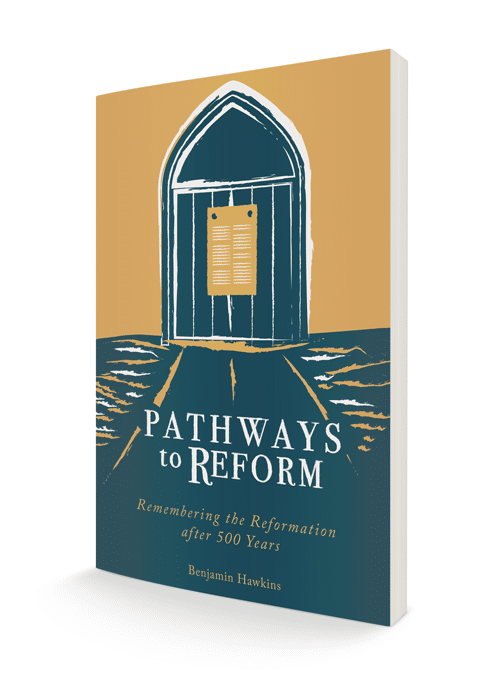 Recounting the stories of Reformers like Luther, Huldrych Zwingli, John Calvin, Balthasar Hubmaier and William Tyndale, this book maps out the multiple pathways to reform that were carved into the intellectual and social landscape of 16th-century Europe. Dr. Benjamin Hawkins, Ph.D. studied Church History/Reformation Studies at Southwestern Baptist Theological Seminary and serves as associate editor for The Pathway, the news journal of the Missouri Baptist Convention. Paperback. $12.99. Available on Amazon. – For discounted pricing on bulk orders email us.